The Henry Ford has announced a road tour featuring Mustang Serial Number One and the Mustang I Concept Car. Along with this tour, they are offering a chance to win a VIP experience for four in Dearborn at the Henry Ford along with other perks. 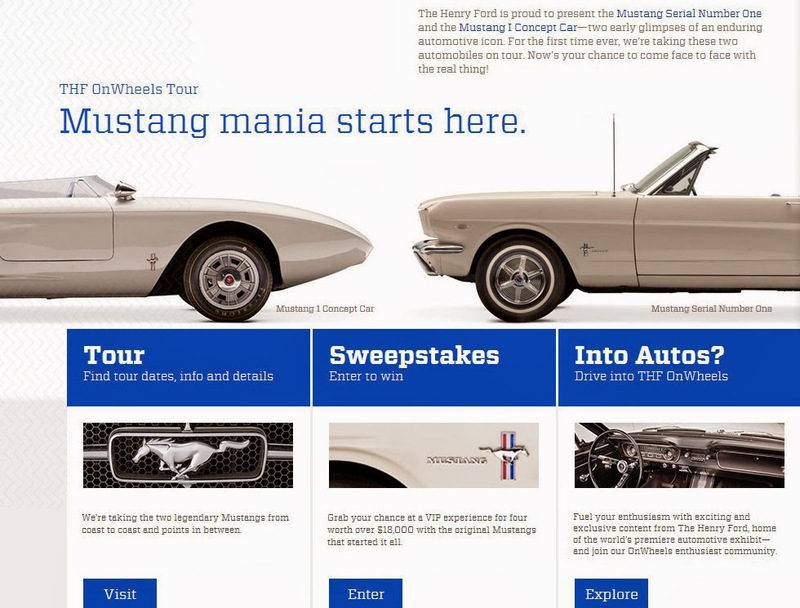 A once-in-a-lifetime fantasy experience for four with the original Mustang Serial Number One and Mustang I Concept Car including a behind-the-scenes photo shoot, tours, 2015 North America International Auto Show preview and more. A copy of the visually stunning Driving America book, featuring the automotive collections of The Henry Ford.